The new joint now offers diners their own individual pot! For budget barbies and bargain hunters, the gem of Japanese eatery Shabu Shabu Gyu Jin is not exactly a secret. This comes as no surprise as the Japanese joint is sought-after for its unimaginable affordability that allows you to indulge in free-flow of premium beef, priced and classified depending on its class. While the concept of free-flow something may seem to be exhausted, evident by the fast proliferation of hotpots in Singapore, only but a few managed to stand out from the lot of gimmicky establishments. 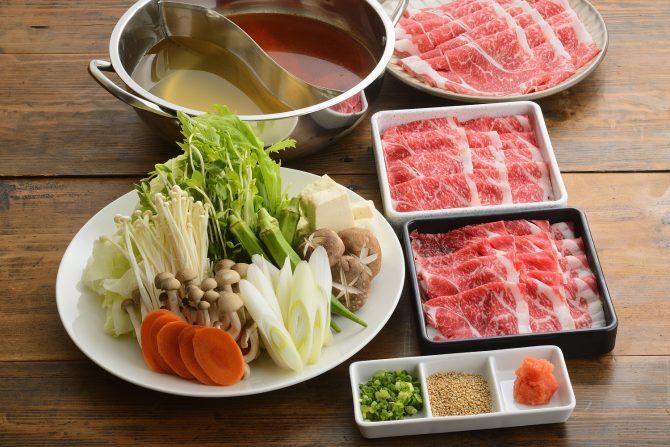 Shabu Shabu Gyu Jin exemplifies this notion, as showcased by the prevalent of its two outlets at Tras Street and Wisma Atria. 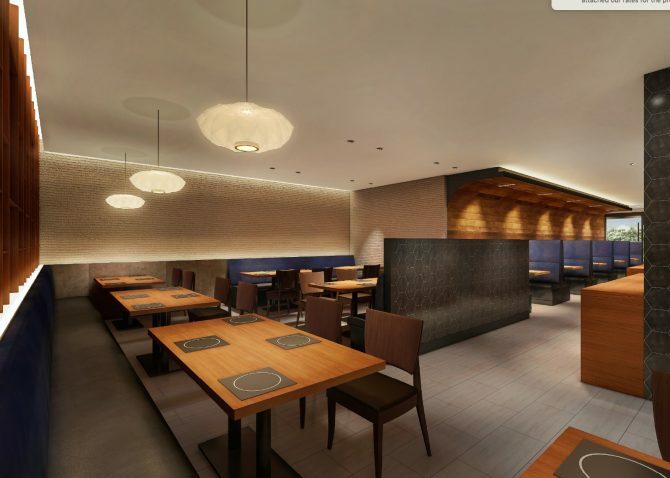 And if that’s not a clear indication of success, the duo is now joined by a third, located at Millenia Walk’s Nihon Food Street and slated to open on 2 June. Stepping into Gyu Jin’s newest abode is like easing into any of its other two outlets. You’ll find yourself in a space reflective of a rustic theme, bedecked with wooden fixtures that are spaced sufficiently apart. The atmosphere is chill and laidback, where the busiest form of activity may be your individual boiling pots – yes, the new joint has done away with the communal style of Shabu Shabu and gives each diner his or her own! Dining at the Shabu Shabu begets a problem, a good problem though: You are asked to pick from two cooking styles of Shabu-Shabu, or Sukiyaki and that’s just the tip of the iceberg. The list of Shabu Shabu ingredients is dizzyingly extensive. But of course, all eyes are on the meat selection. Opting for the Shabu-Shabu lets you on the choice of American beef ($31.90 for 70 minutes), Australian Wagyu ($40.90 for 90 minutes) and the most elite Japanese First Class Wagyu ($72.20 for 90 minutes). Your dilemma doesn’t stop there as you have to then select a Dashi broth to cook your meat in. Each table gets to pick two broths from the range of Hidaka Kelp, Yuzu Salt, Savoury and Spicy, Suki and Creamy salted Rice Malt. The presentation of the meats is a delicate thing. And we mean quite literally as the beef strips are so thinly-sliced to showcase their deliciousness. With a gentle swish in a boiling broth, the beef strips swiftly darken into a sensual grey to indicate its doneness, before a slather of raw egg covers its now-curled body for indulging. Did we also mention free-flow orders of pork ribs, loin and chicken thigh are included in the buffet as well? And that’s not the only takeaway at the outlet. 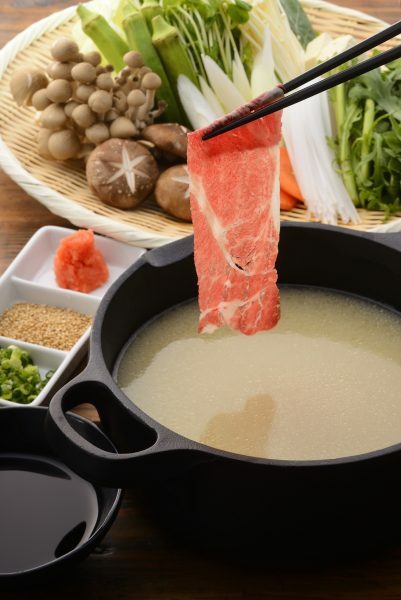 While it may certainly draw in ravenous carnivores, the Shabu Shabu Gyu Jin further elevates the gastronomic experience by complementing the meat-driven buffet with a wide range of greens. Heaps of Konnayaku noodles are also offered to fill your tummies, alongside free-flow Japanese rice that is considerately paired with steaming Japanese curry on the side. Shabu-Shabu meals are then concluded sweetly in the form of scoopings of ice cream from the dessert station. 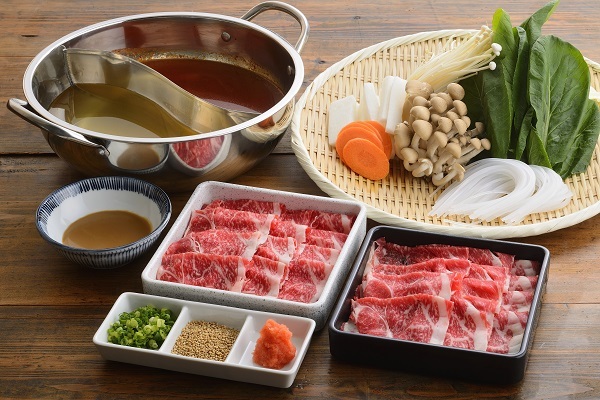 So if you have been settling for sub-par hotpot outlets, where portions are measly and ingredient seem a little off, it’s time to taste the real deal at Shabu Shabu Gyu Jin – a place where quality is of the Japanese-best. This post is brought to you by Shabu Shabu Gyu Jin.